We all get older, but the aging process isn’t always kind. While a well-placed wrinkle or two might give you a dashing George Clooney vibe, sometimes deep furrows and sagging skin on the face can hide your masculine features and leave you looking aged and tired. This happens as skin starts to lose its elasticity, fatty tissue is lost, and a lifetime of repetitive expressions start to make permanent wrinkles. While this is a natural process, it doesn’t mean you can’t do anything about it. Our talented team of cosmetic surgeons have years of combined experience helping men in Rancho Cucamonga, Victorville, and Eastvale feel great about the way they look, regardless of their age—and facelift surgery is one of the most effective ways to roll back the clock while retaining a sharp, masculine appearance that still looks like you. With the availability of more and more minimally invasive options for addressing some of the most common signs of aging, it’s normal to hear our patients wonder if a facelift or another option is right for them. There’s no hard and fast rule about what age is best for a facelift, but we can help you decide when your concerns have outgrown the capabilities of non-surgical alternatives. When you come in for your consult with Dr. Jacob Haiavy, Dr. Irene Tower, or Dr. Whitney Florin at Inland Cosmetic Surgery, you’ll have the opportunity to explain your biggest concerns and what your ultimate goals are. With your input and their examination of your face, your surgeon will help you explore your options and determine if a facelift or other procedure is right for you. A full, traditional facelift to address the mid-face and neck is performed under general anesthesia in our accredited surgery center in Rancho Cucamonga. Your cosmetic surgeon will strategically place small incisions in the natural contours of your face where they are least visible, typically inside the hairline at the temple, in front of the ear, or just behind the ear. Through these incisions, skin will be lifted to reduce the depth of creases and minimize sagging, and the deeper structures of the face (muscles and fascia) will be tightened to eliminate jowling and give the face a more uplifted, youthful appearance. In cases where excess fat is contributing to fullness or jowling along the jawline, we may recommend using micro-liposuction techniques to enhance your results. 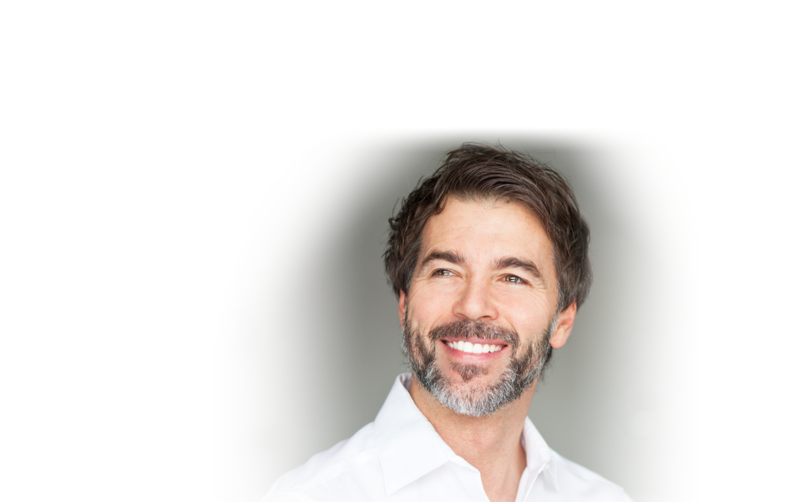 Many of our male patients are concerned about the effect of a facelift on their hairline, but our surgeons use a hair-sparing technique and are cautious of impacting an already receding hairline. By advancing tissue rather than excising it in areas where hair grows, we are able to keep your hairline in tact while also preventing an overly tight or unnatural final look—the majority of our tightening and lifting is done under the surface to make sure you still look like you when we’re finished. If your areas of concern are concentrated in your mid-to-upper face, we may recommend an ESCL. This procedure is performed through an incision made across the top of your head inside your hairline and small incisions inside the mouth. Your surgeon will then lift soft tissues and muscle upwards, effectively reversing gravitational changes of aging. This allows us to lift all of the structures of your face from forehead to jawline, including your brow, corners of your eyes, nasal tip, outer mouth, and jowls. Again, none of your hair will be removed, and hair bearing skin will remain intact. We consider this technique to be a superior lifting option for certain patients, as it provides a stronger lift and more balanced improvement. Recovery is similar to a traditional facelift, though patients may experience a bit more initial swelling and some numbness in the scalp while healing. Results tend to be longer-lasting than a regular facelift. While such dramatic improvements do require some downtime, many of our patients are surprised at how quickly they can start to resume their normal, day-to-day activities. For the first week, you’ll be wearing an elastic neck strap to help keep swelling down and protect your incisions—we’ve found this method to be less uncomfortable and restrictive than heavy bandaging. The first day or two after surgery is going to be uncomfortable—we’ll prescribe you pain medication to help. You’ll need to take it easy and give your body time to heal, though we encourage patients to get up and move around as soon as the day of surgery. It’s normal to experience some swelling, bruising, and tightness for the first week or two, particularly around incisions. Expect to be out of work for around 10 days and out of the gym for around 4-6 weeks. Your surgeon will give you specific milestones for returning to your favorite activities based on your personal rate of healing and the specifics of your procedure. We’d love to help you understand the options available to you and answer any questions you may have during a consult with one of our surgeons. Contact us today to get started!